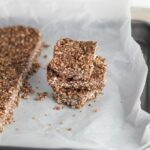 Nut free chocolate & coconut no bake bars make a great addition to your child’s lunchbox, and if you have guests coming over with short notice, then these are great to make as they only take a few minutes to make and one hour to set in the freezer. 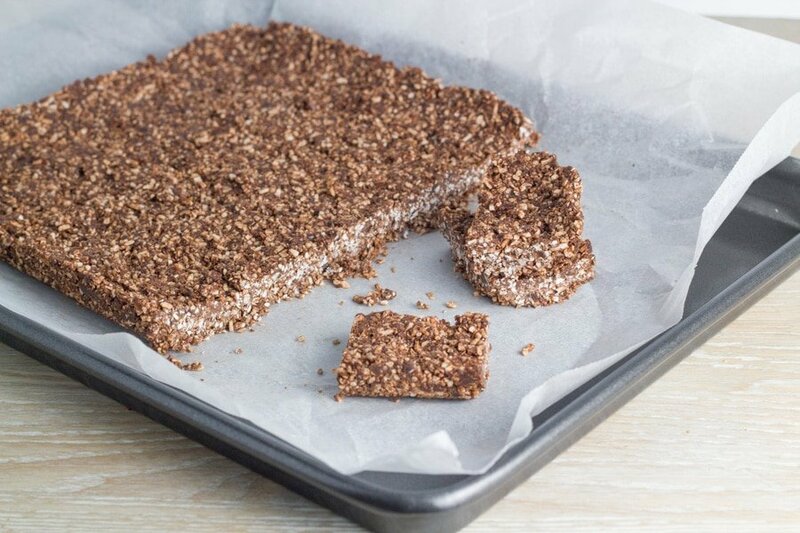 I have been meaning to share my Nut Free Chocolate & Coconut No Bake Bars with you for a while now. 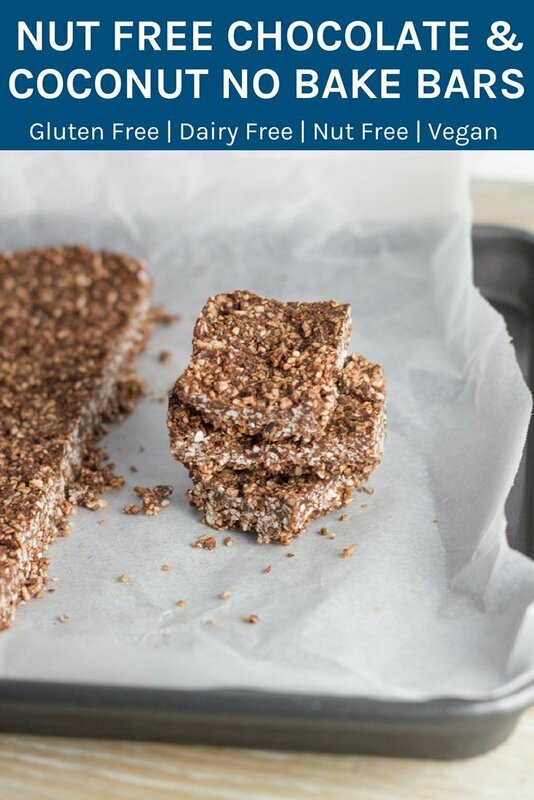 I created it around the same time as my Nut Free Coconut & Date Bars and it has become a regular feature in my household. 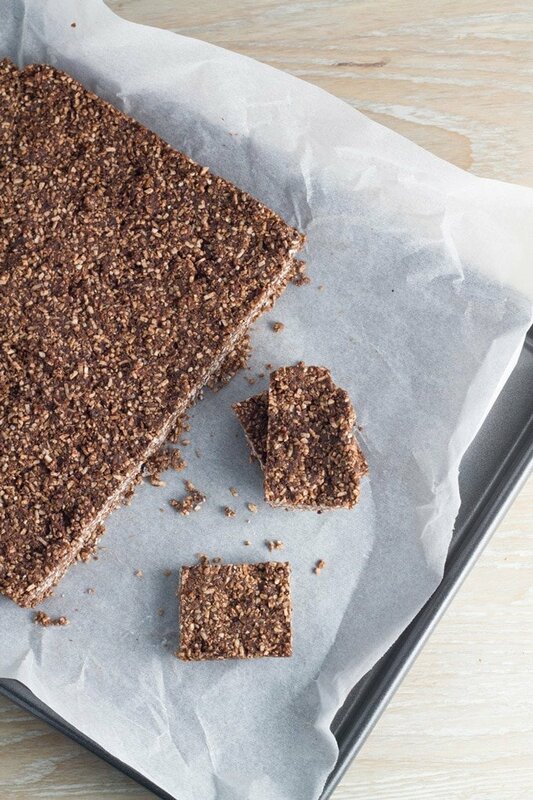 Not only are they nut free, but these bars are also gluten, dairy, egg and refined sugar free. They are so easy to easy make and really do make a great addition to your child’s lunchbox. 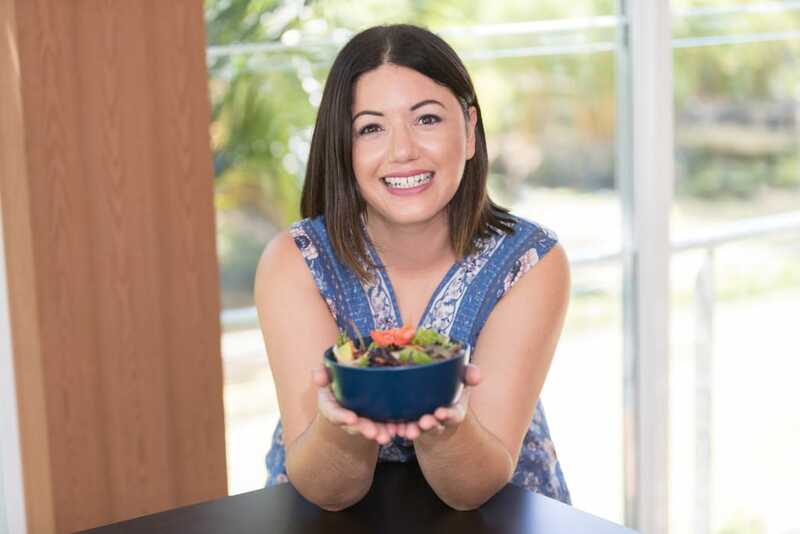 As I have now have a Thermomix, I tend to make these using my thermomix as it takes only 7 seconds to process, however, I have included both recipes! 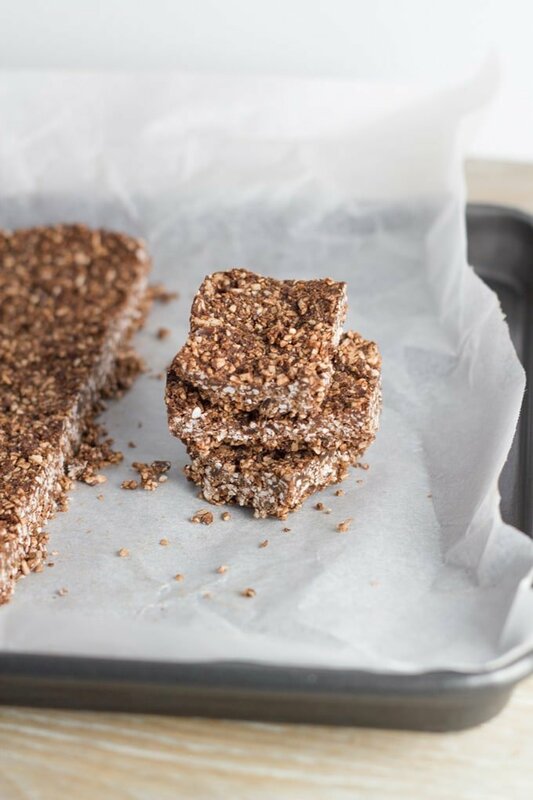 Nut Free Chocolate & Coconut No Bake Bars. They make a great addition to your child’s lunchbox, and if you have guests coming over with short notice, then these are great to make as they only take a few minutes to make and one hour to set in the freezer. Add all ingredients to a food processor or high speed blender and process until it resembles fine crumbs and sticks together when pressed. Spoon mixture into a lined slice tin and press down and smooth with the back of a spoon. Place it in the freezer to set for 1 hour or until firm. The cook time does not include the time is takes for these bars to firm up in the freezer. The cook time does not include the time is takes for the slice to firm up in the freezer.